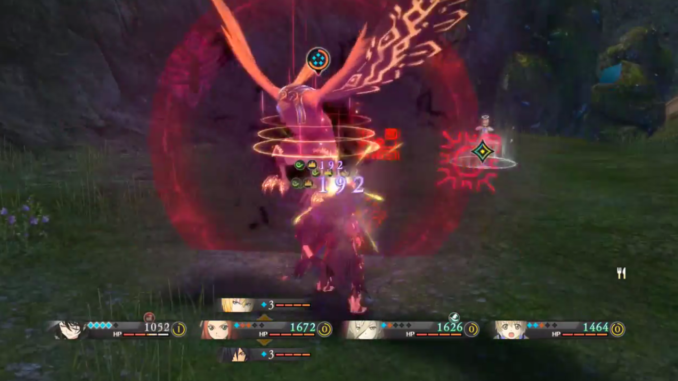 GIGANTOS ARE OPTIONAL BOSSES THAT CAN BE ENCOUNTERED IN TALES OF BERSERIA. THIS PAGE INCLUDES INFORMATION ON ALL GIGANTOS THAT APPEAR IN THE GAME. WE WIL BE UPDATING THIS PAGE AS WE GO ALONG. Gigantos are boss-level enemies wandering around in various locations in Tales of Berseria. They pose a good challenge while progressing through the game’s main storyline. If you defeat them, you will receive a certain amount of Gald from the girl near the tavern in Rogress. Gigantos also drop crystals that grant your characters special abilities and attributes. While engaging Gigantos is mostly optional, you might miss out on earning some extra Gald along the way. The crystals that they drop will also be quite useful for harder encounters later on. You will have more options to customize your characters when you have access to more abilities.